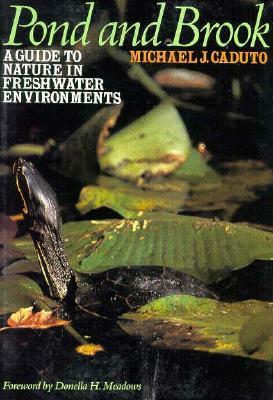 Overall this is a good introduction to freshwater ecology for the nonspecialist. On the positive side, it's pretty comprehensive and has a good amount of detail considering its audience. In addition to ecology, it addresses geology and geomorphology, formation of waterways, water chemistry, and hydrology. And it discusses lentic environments (still water, i.e. ponds and lakes) as well as lotic (flowing water) systems and wetlands, and even slightly touches on estuaries (where fresh and saltwater mix). I haven't seen other fairly brief, non-scholarly books with a scope this broad. On the negative side, it's sometimes a bit too warm and fuzzy, and the photographic reproductions are poor. The other graphics serve their purposes reasonably well, and there's a good amount of them, but they're just adequate and sometimes they don't support the text as well as they might. The book design is kind of amateurish, but that's a quibble, and the editing has weak spots, but that is too. On what really matters, the book's pretty successful; I learned a good bit about things I was interested in knowing better, and it neither skimped on nor overwhelmed with the scientific material. A good book for those, like me, who aren't familiar with freshwater environments. I used this book to give me a foundation for local ecology in Cleveland so I can do my job better (I work at the aquarium).At times, the book was wordy and detailed in one area a little too much while vague and fleeting in others. It oscillated between narrative story and text book facts. However, it was informative and worth every minute of my time. I enjoyed the household tips on making your own scientific equipment when exploring nature. I wish the rest of my staff would take the time to read this book, but it might not be for everyone. Gobs of good info on lentic and lotic habitats, well-written with a true passion for the subject.